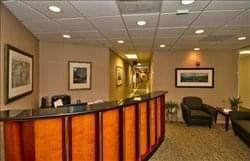 Find My Workspace lists over 95% of the executive office suites market in Reston. Simply click Request Quote to check pricing for one office, or Add to Basket for multiple offices. Clients enjoy the benefit of the center’s fully furnished offices, reception area, accessible balconies, conference rooms and guest offices. There are also in-suite restrooms and kitchen while after hours security is provided by Datawatch. Building amenities include an on-site deli, well-equipped fitness center with locker rooms and showers, and a rooftop terrace. This extensive and executive business installation is a highly significant corporate location and a key venue for the local area’s main business community and commercial district. With a rich history, luxurious and stylish interior furnishings, a wide range of state of the art and technologically innovative facilities, specialist and experienced support teams and a multitude of flexible workspace solution packages; this business center location is the ideal setting for professional tenants in search of high quality and contemporary office suites and working environments. 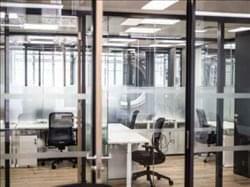 The site also features high speed internet, spacious meeting rooms, conferencing capacity and secure parking provision. This center is in the buzzing Urban area in the heart of Dulles. Take a chance to combine the trendy modern charm of this community and excel your business. Take the chance to grow your business with creative and innovative like-minded individuals. The spacious open rooms are designed to network with individuals and enhance your business and connections. The center offers 24-hour worldwide access to locations to run your business and do your job from anywhere. Collaborate with the team in the meeting and conference rooms and take full advantage of the on-site management team there to help with all of your business needs. To obtain information for your selected Virginia Executive Office Suites, please tick the "Add to basket" box for each office you prefer and complete the form below. We will then send a detailed report via email.